We want you to imagine… there is a space that’s made for you. A space waiting to brew your ideas and boost your productivity from the very moment you check-in. A space made for entreprenuers and opportunists like you. That space? Well, it’s here wherever you are. 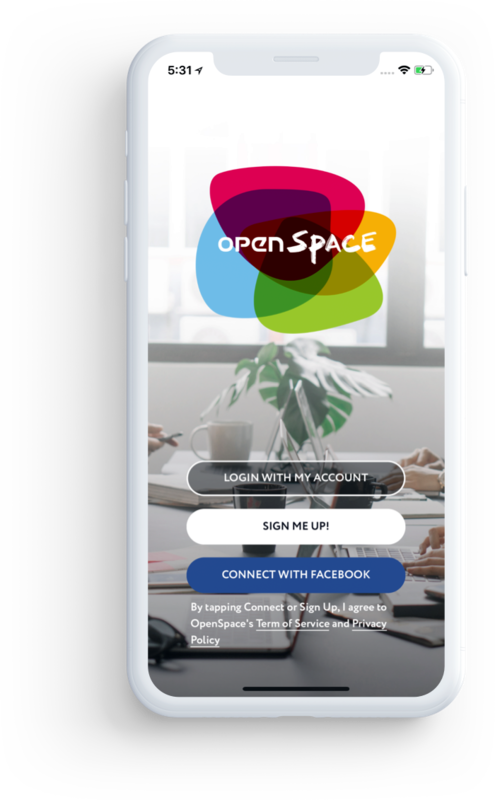 Grab an International or Local OpenSpace passport, book your corner, and get productive. A month or twelve, enjoy the flexibility of exploring different co-working spots— It’s your space, anywhere. Oh, and did we mention it’s all done within our app? we’re active in several SEA countries and expanding overseas very soon! get access to exclusive mentorship programmes at our HQ. Coming soon! manage everything in one app, anywhere. a calendar overview to organize bookings. Get productive in any of our partnered co-working spaces including Kuala Lumpur, Singapore, Manila etc. Get productive in any of our partnered co-working spaces including Sydney, Melbourne etc. Get productive in any of our partnered co-working spaces including Kuala Lumpur, Penang, Johor Bahru etc. Get productive in any of our partnered co-working spaces including Singapore downtown etc. Get productive in any of our partnered co-working spaces including Bangkok etc. Get productive in any of our partnered co-working spaces including Ho Chi Minh etc. Get productive in any of our partnered co-working spaces including Manila etc. Get productive in any of our partnered co-working spaces including Jakarta etc.